Original concrete silo type S024[2400 tonnes capacity] built in 1928.Extra bin[s] were added in 1934,capacity unknown. The D150 bulkhead [15000 tonnes] was built in 1967. 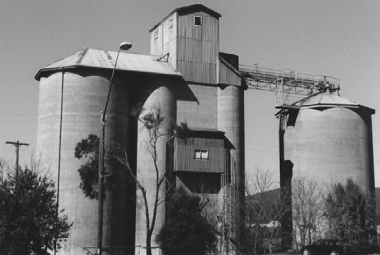 Original concrete silo type S016 [1600 tonnes capacity] built in 1933. 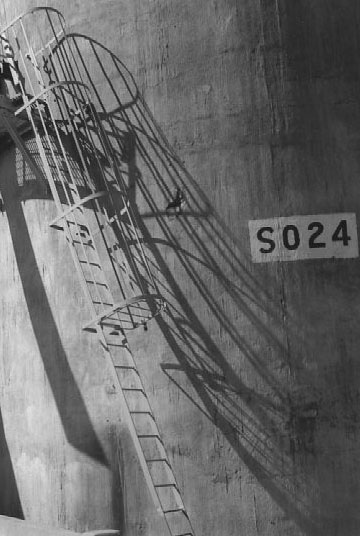 The C288 bulkhead [28800 tonnes] was added in 1969. 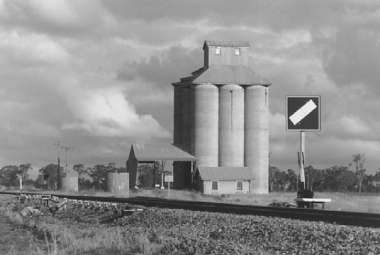 Henty to Rand line, abandoned. 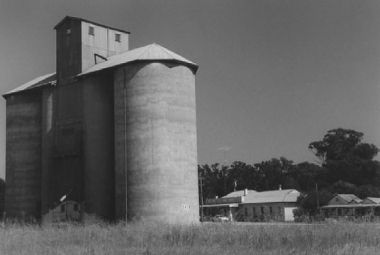 Original concrete silo type S024 [2400 tonnes capacity] built in 1928. 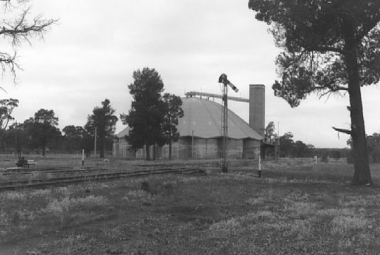 An extra bin[s] was added in 1932 , capacity unknown. 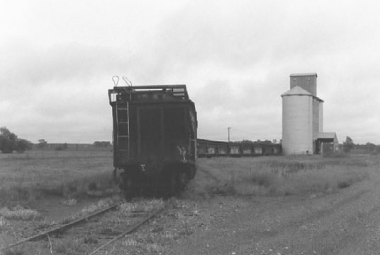 The C288 bulkhead [28800 tonnes] was added in 1969; also known as C Depot. Bardmedman to Rankins Springs line, closed . 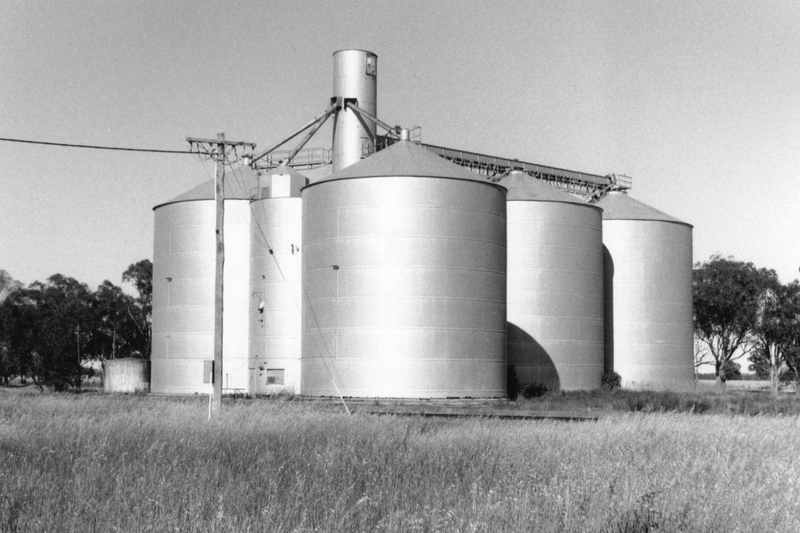 The scalloped concrete silo is a type A191 [19100 tonnes capacity] built in 1964. 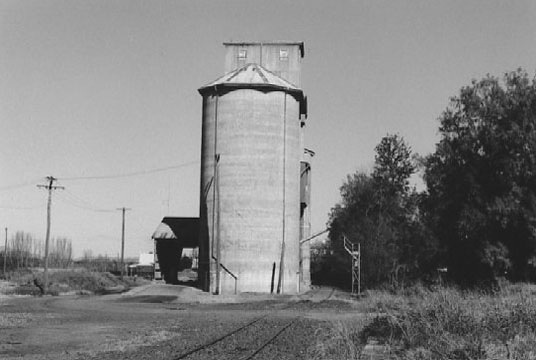 Also a small bulkhead, construction date and capacity unknown. 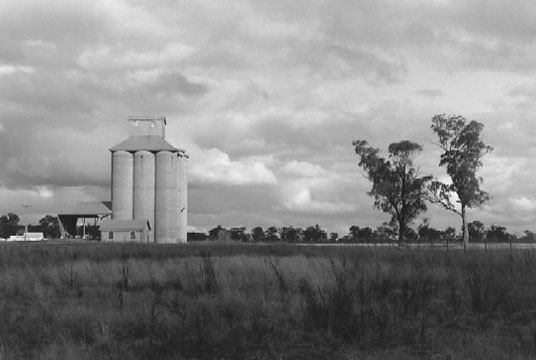 Located on the outskirts of Forbes. Bulkhead C288 [28800 tonnes capacity] built in 1969;also known as C Depot. 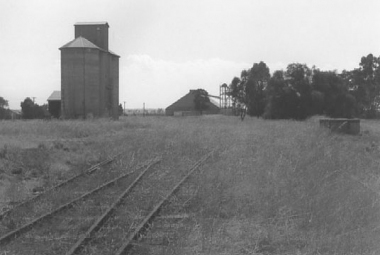 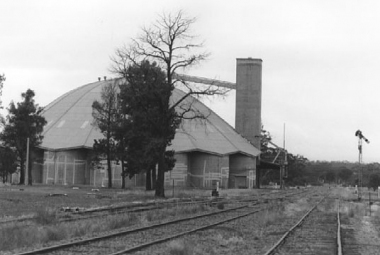 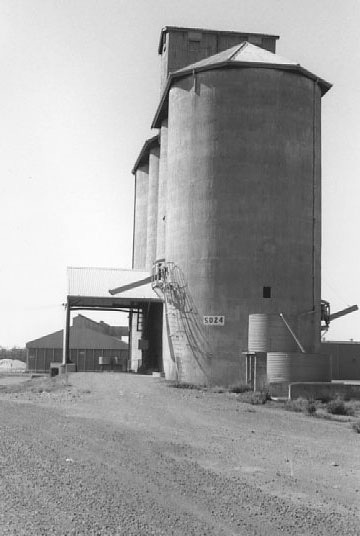 New steel silos, construction date and capacity unknown. 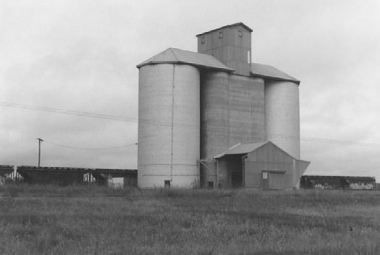 Concrete silo type S041 Metcalf [4100 tonnes capacity] built in 1922. 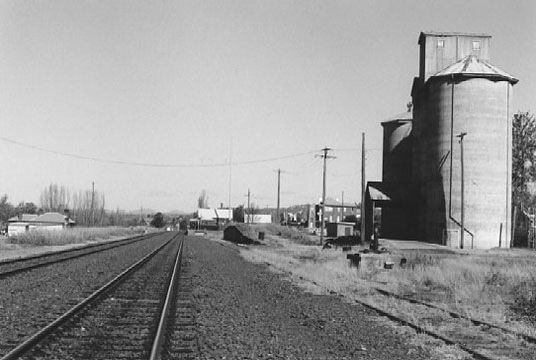 The Rock to Rennie line, recently maintained at Rennie . 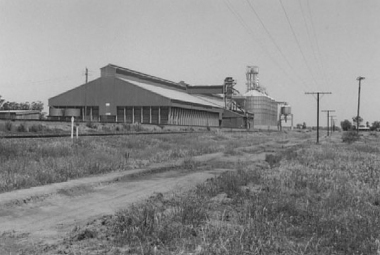 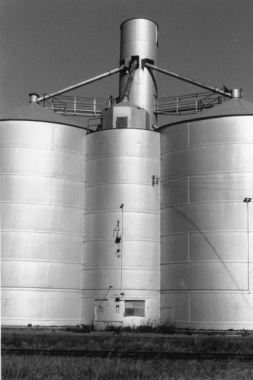 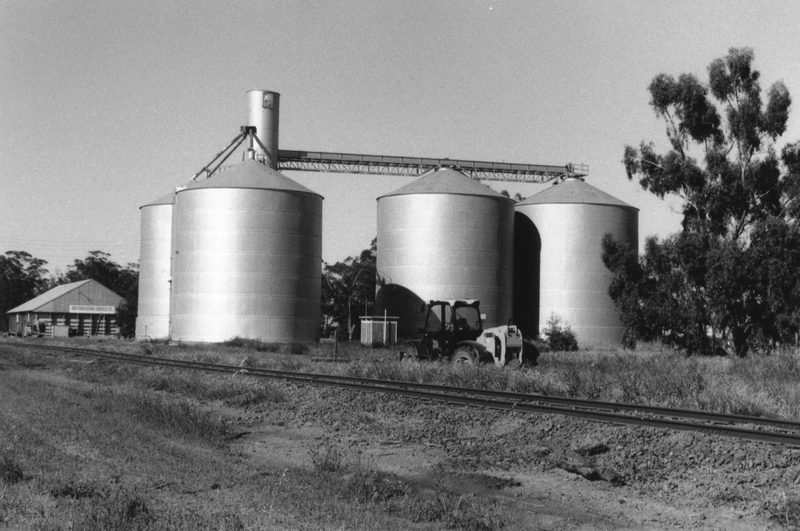 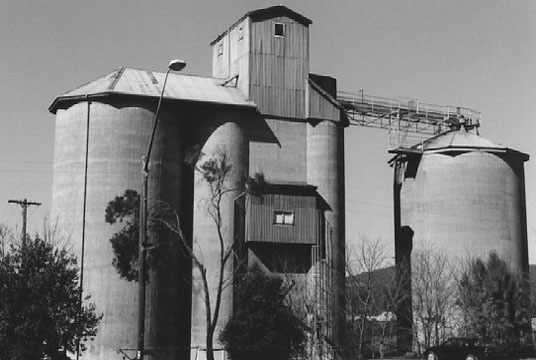 Flat steel silos, construction date and capacity unknown. Small bulkhead from an earlier date [unknown] downline.